Right now is normally a slow period for celebrity beauty, but this week&apos;s red carpet report is surprisingly star-studded! Emma Stone at the Hollywood Foreign Press Association&apos;s 2016 Grants Banquet. Close-up of Emma Stone at the Hollywood Foreign Press Association&apos;s 2016 Grants Banquet. What I love: Pretty much everything! (This is why Emma is one of my longest-running beauty crushes.) Her skin is radiant, not makeuppy, with a gentle flush and visible faint freckles. I adore the soft, stained lips—my favourite texture right now—and her purple smoky eyes, which have the colour concentrated outwards instead of above the pupils. 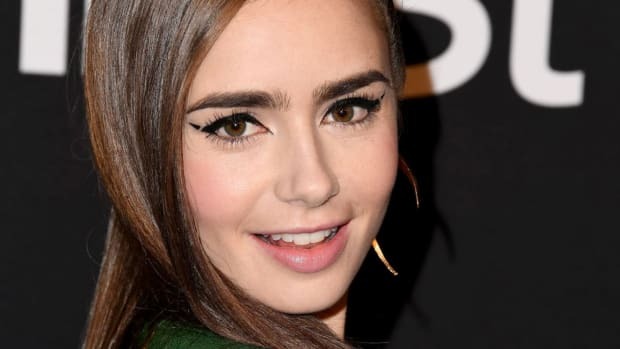 Her brushed-up brows are bold, yes, but I think they work. I always love strawberry blonde hair on her, and this wavy, side-parted lob is too cute. What I&apos;d change: Nothing. Natalie Portman at the 2016 New York premiere of &apos;A Tale of Love and Darkness&apos;. Close-up of Natalie Portman at the 2016 New York premiere of &apos;A Tale of Love and Darkness&apos;. What I love: How did I not notice Natalie&apos;s perfect skin before?!? It is SO even—not a freckle nor a discolouration to be found. I love that she played it up with barely-there blush and lip gloss, and a tight, sleek updo. Black liquid liner and long lashes are the only makeup statements she needs. What I&apos;d change: Nothing. Jennifer Garner at the 2016 premiere of &apos;Nine Lives&apos;. Close-up of Jennifer Garner at the 2016 premiere of &apos;Nine Lives&apos;. What I love: Jennifer&apos;s face has movement, unlike so many of her Botox-using peers. (She is 44 now, in case you&apos;re wondering.) Her skin tone is even and her eyes are sparkling, with just a pop of pink on the lips for colour. Most of all, I love her voluminous wavy hair and pretty tone-on-tone highlights. What I&apos;d change: I&apos;m still not sure if she gets injections in her top lip (and I&apos;ve thought about that before). Selita Ebanks at the 2016 ACE Awards. Close-up of Selita Ebanks at the 2016 ACE Awards. Dakota Johnson at a 2016 United Nations event. Close-up of Dakota Johnson at a 2016 United Nations event. What I love: Dakota&apos;s no-makeup makeup, and that beautiful natural shine on her cheek. (It doesn&apos;t even look like highlighter, which is the best kind of highlight.) As you know, I&apos;m a big fan of her easy-breezy red carpet style—the undone hair, the muted stained lips, and just mascara on her eyes. The red tassel earrings are the one quirky touch. Love! What I&apos;d change: Nothing. Salma Hayek at the 2016 premiere of &apos;Sausage Party&apos;. 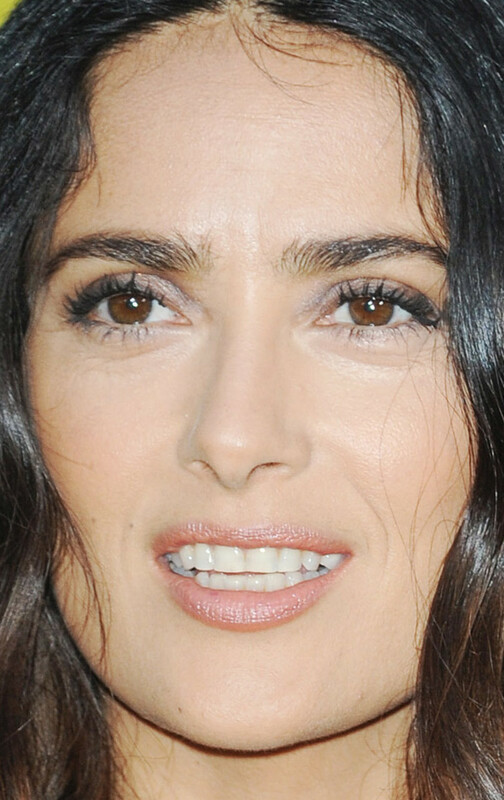 Close-up of Salma Hayek at the 2016 premiere of &apos;Sausage Party&apos;. What I love: Salma&apos;s perfectly even complexion. (Notice a theme this week?) It&apos;s even more impressive when you realize she&apos;s going to be 50 years old next month. She stuck to her signature soft smoky shadow and mascara, focusing on the upper lids. I love her hair almost as much as her skin—the centre-parted waves and subtle Ombré​ (Sombré​) are fantastic. What I&apos;d change: That visible bottom lip liner is the elephant in the room. I know it&apos;s meant to mimic a shadow, to create the illusion of fuller lips, but it never looks right up close. Emily Wickersham at the 2016 CBS, CW and Showtime Summer TCA Party. Close-up of Emily Wickersham at the 2016 CBS, CW and Showtime Summer TCA Party. What I love: Emily&apos;s natural skin texture, rosy cheeks and berry-stained lips. This is a combo I love for the beauty transition from summer into fall. I also like that she chose a neutral shadow and just mascara for her eyes—her darker brows already do the job of framing her face. What I&apos;d change: Nothing. Kira Kosarin at the 2016 Say NO Bullying Festival. Close-up of Kira Kosarin at the 2016 Say NO Bullying Festival. What I love: Kira&apos;s plump, glowy skin, full brows and bright pink gloss. It&apos;s a more natural look than we&apos;ve seen on her in the past (see here and here), and more age-appropriate for her 18 years. I love her hair, too—the half-up style looks adorable with the dangling hoops. What I&apos;d change: Nothing. Cara Delevingne at the 2016 London premiere of &apos;Suicide Squad&apos;. Close-up of Cara Delevingne at the 2016 London premiere of &apos;Suicide Squad&apos;. What I love: Cara&apos;s skin looks air-brushed—although I promise you, this photo hasn&apos;t been re-touched. But what stands out to me even more than that are her grey-blue eyes. She is wearing a lot of eye makeup, with very exaggerated dark brows, but somehow it doesn&apos;t overwhelm her face or look overdone. Guess that&apos;s why she was the world&apos;s second highest-paid model! What I&apos;d change: Nothing.